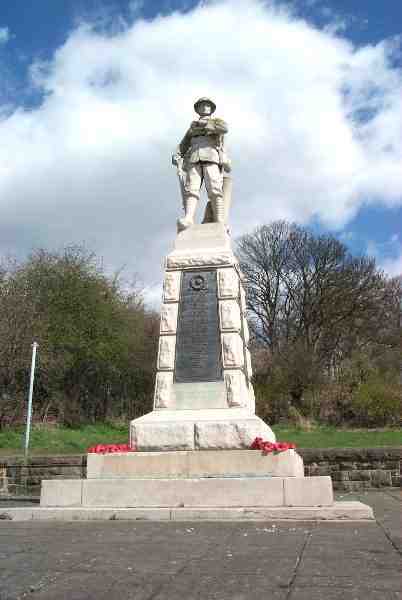 This is Newburn's First World War Memorial, sculptured by Emley and Sons to a cost of £550.00 raised by public subscription. 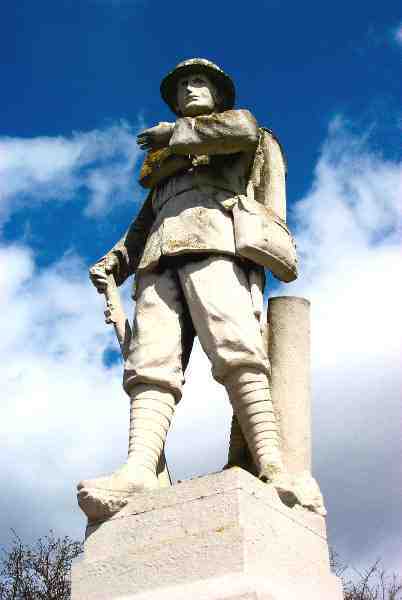 Unveiled in May 1914 it was sculptured by Alexis Rudier and is a Listed 2 monument. The memorial was unveiled by the Duke of Northumberland, 15th July 1922. It is built from white limestone and stands at the top of a flight of stairs. The monument has certainly moved about Newcastle in its time, initially installed in the Haymarket it then moved to Percy Street before its current resting place. 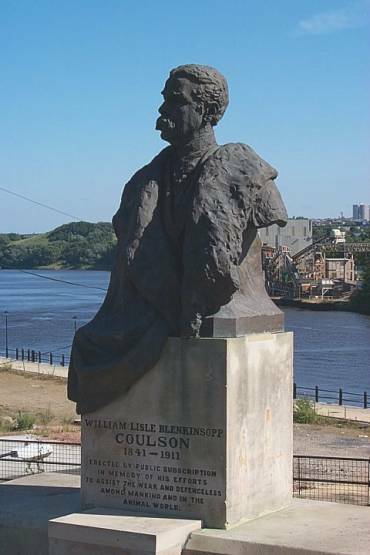 The bust of Coulson is made from bronze and is double lfe sized. 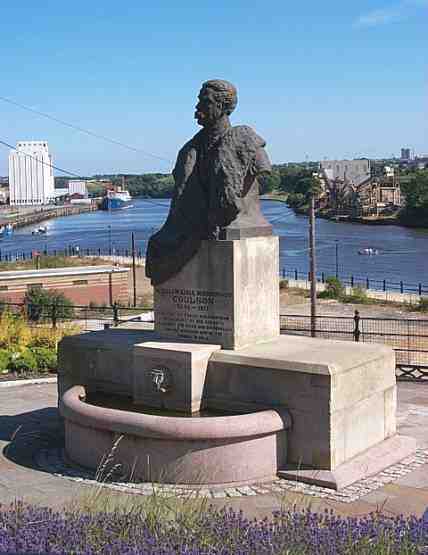 A memorial to Tyneside's Glass Industry. This is one of the four Glass Cones that used to be part of the Northumberland Glass Company, founded in 1787. 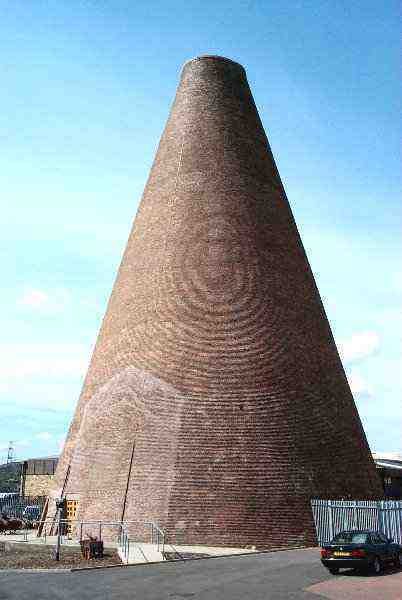 The Cone is some 120 feet high and contains 1.75 million bricks - built in 1797.